Freeing Potential. Preparing For Life. Montessori@Home Independent School emphasizes hands on, discovery based learning to support each child’s unique personality. Our school setting has been handpicked and offers immaculately prepared classrooms with staff who are qualified, experienced and are truly passionate about their calling to work with children – the Montessori way. Montessori@Home allows students to thrive academically; and also instill in children an enduring understanding of what it means to live and work together peacefully. You’ve probably heard of Montessori schools, and may even know that they are very well respected, but how much do you know about the Montessori Method? A program that’s been in practice for more than a century, it’s still one of the top methods worldwide for educating young children. Do you know the history and impact of this groundbreaking educational theory? The Montessori Method was created in Italy around the turn of the last century. Dr. Maria Montessori was a remarkable woman: a physician, educator and innovator at a time when women were largely confined to the roles of wife and mother. Believing that children would benefit more from experience and hands-on manipulation of materials rather than direct instruction, she opened her first school in 1907. In 1909, she started training teachers, and her notes were turned into her first book. The Montessori Method made it’s way to South Africa in the 80’s and has enjoyed great success for more than three decades. Montessori@Home Independent School programs promise a high standard of excellence where each child is challenged to compete against him / herself within the structure of vertically grouped classes. Montessori@Home Independent School environments assist each child to achieve their full potential of academic accountability, personal responsibility, independence and self-confidence whilst nurturing an intrinsic learning ethos which is – “Learning for Life”. Our Toddler classroom caters for a maximum of 10 children ranging in age from 18 months to 3 years with an adult / child ration of 1:5. This is a uniquely bilingual environment where the difficulty of ‘letting go’ is understood. Through education, support and nurturing of both child and parent, we aim to assist in making this transition an exciting new chapter for all. Our Pre-School is a true ‘home away from home’ experience with vertically age grouped children from the age of 3 to 6 years. 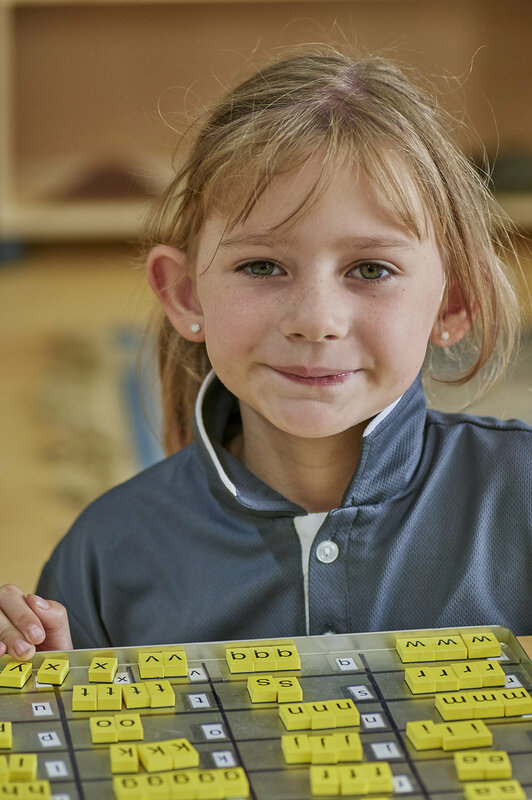 Our exceptional team of Montessori Directresses are trained to communicate and educate efficiently in both English and Afrikaans while encouraging the natural development of bilingualism in the playground. Our Pre-School focuses on the physical, academic, social, spiritual and emotional development of the child by providing a prepared environment where the child is free to learn, explore and discover within clearly defined boundaries. The Practical Life area enhances the development of task organization and cognitive order through care of the self, care of the environment, exercises of grace and courtesy and coordination of physical movement. The Sensorial activities enable the child to order, classify, and describe sensory impressions in relation to length, width, temperature, mass, colour, sound, texture and weight. The Mathematics area makes use of didactic materials to enable the child to internalise concepts of number, symbol, sequence, operations, and memorization of basic facts. Language Arts include oral language development, written expression, reading, grammar, creative dynamics and literature. Basic skills in writing and reading are developed through the use of sandpaper letters, alphabet cut-outs, and various presentations allowing the children to link sounds and letter symbols effortlessly and to express their thoughts in writing. Cultural subjects expose the child to basics in geography, history and life sciences. Music, art, and movement education are part of the integrated cultural curriculum. Our Primary community is a small and nurturing learning hub divided into two vertically age grouped classes of 6 to 9 and 9 to 12 years. In this plane of development, the child is guided towards an inner discipline of goal setting, time management and personal accountability. This environment is carefully prepared to support a smooth transition from concrete to abstract based learning in conjunction with the development of reasoning. This successful approach to education is dependent on collaboration amongst students to explore, challenge and grow in a community that supports this unique learning experience. Montessori @ Home, Paarl has a resident Sports Co-ordinator who focuses on the gross motor needs of each child both individually and in non-competitive groups. Our program is carefully designed to incorporate a healthy balance between physical activity, nutrition and sport appreciation to assist the child in the journey towards a strong, healthy and ‘sport ready’ individual. The Suzuki Method is an educational philosophy which strives to create “high ability” and beautiful character in its students through a nurturing environment. The ‘nurture’ involved in the movement is modeled on a concept of early childhood education that focuses on factors which Shinichi Suzuki observed in native language acquisition, such as immersion, encouragement, small steps, and an unforced timetable for learning material based on each person’s developmental readiness to imitate examples, internalize principles, and contribute novel ideas. In our Toddler and Pre-school music sessions the children have the opportunity to listen to and play various tuned and untuned percussion instruments. Nursery rhymes, action songs, finger play, story-telling and other musical activities in English, Afrikaans, Xhosa and Zulu are taught and used to introduce instruments like the ocarina, glockenspiel, ukulele, guitar, violin and piano. These instruments and activities are combined to assist the development of various skills - social-emotional, size, pitch, rhythm, number, fine and gross motor co-ordination, observation, listening and sequencing, vocabulary, memory and pre-literacy skills. Children are usually quite ready to begin learning a musical instrument from around the age of four. We offer private tuition in: piano, guitar, ukulele and beginner violin. In an environment of mutual respect and trust, the child is afforded the opportunity to explore the wonder of dramatic studies. Drama is a wonderful tool in building confidence and improving self –esteem by encouraging collaborative dialogue, improvisation and uninhibited silliness in a safe and comfortable setting. Through creativity, imagination, movement, song and dance, each young mind’s emotional intelligence is enriched, nurtured and inspired while creating a strong foundation of excellence in public communication. Most young children are instinctively drawn to Art with an innate urge to create. In our colourful studio, the children are given a voice to express their feelings without words while exploring a wide variety of new & exciting mediums and techniques. Art builds confidence, encourages problem solving and teaches the child that through perseverance it is possible to conquer self-doubt and frustration. We aim to inspire each student to appreciate the process rather than the outcome and to admire each unique end result as a masterpiece. Our children started at Montessori@Home in 2013 at the ages of 4 and 2, after being introduced to the Montessori method at the Childrens' Studio in Claremont. They have both been happy, independent children since they became part of this school. The teachers are supportive and their growth has been astonishing to watch over the years. When our son had to start Primary School, Montessori@Home only had a Pre-School, so we unfortunately had to move him to another school. When Montessori@Home had their Primary School up and running, we brought him back. The difference in his demeanor was just so evident, that we have not looked back for one moment. At the other school he used to come home with a migraine twice a week! They are now both in the Elementary School, happy and thriving. There is no doubt in our minds that the Montessori way of learning is the way every child should learn. They have an intrinsic curiosity to learn and have the opportunity to do so in an environment where they can be the individuals they are, at their pace, with the support and guidance of their incredible teachers. It is a safe, welcoming space that gives them the opportunity to grow into who they want to be. We know that they will grow up to be independent, critical and creative thinkers. We definitely recommend Montessori@Home as a school that will support your child during every stage of their development, no matter what challenges they face along the way. You will find us here until they complete High School! It takes a village to raise a child, and in my life, there is no bigger truth. For this Rainbow Toddler Mama, there is no greater comfort that we have made the right decision, when I see our Little One, give her teachers the same open-armed-no-resistance-free-flowing hug she gives us, and the same genuine-sincere-and-ever-loving smile she gives us. She is truly at home here. We are so privileged to have found a school, with like minded, friendly, helpful and easily approachable people, who truly has the kids' best interest at heart. I have found my village, my people, my little community. And if this testamony resonates with you, I look forward to meeting you at the next school pic-nic! I have been around children of family and friends all my life but the difference I see in my step children is incredible. The complete independence and respect, their love for learning and their school especially their amazing teachers and not to mention their wonderful Principal . I am in complete awe of how beautifully well taught these children are, the Montessori philosophy is definately the way to go. Maria Montessori would be so proud of how incredibly well this school is run. Thank you Nici and all the teachers for this amazing gift your give my children everyday . Our son, now 3, has been here since he was about 20 months. In this short time we have seen him blossom into a confident, capable, independent and aware child who has learned practical and creative skills for life. Small classes and a family atmosphere really enable the Montessori philosophy to reign supreme, and allows staff to nurture each child individually. Montessori for life! My son started his education at Montessori@home, from being a shy clingy little boy he blossomed into an independent little being. He is now 15 and I attribute his love of learning to the Montessori philosophy of teaching and the nurturing environment he came to love at Montessori@home. I cannot recommend this school highly enough. 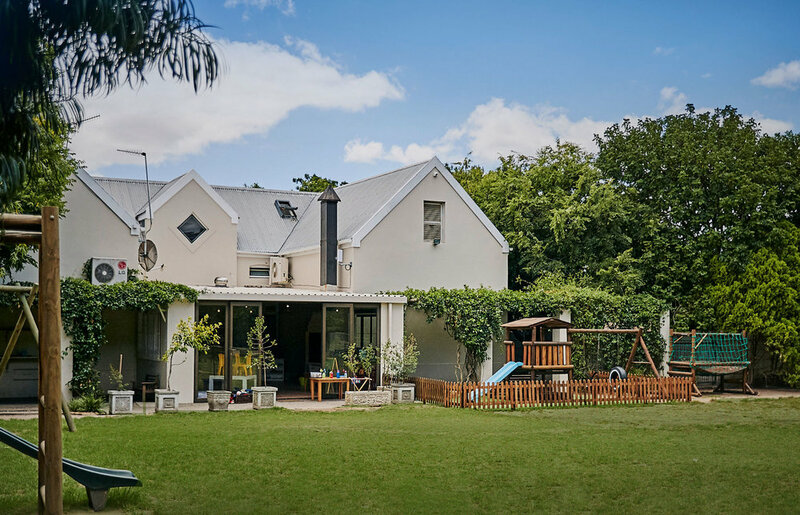 Montessori@Home is an independent school that reflects the personalities of the owner, Nici Gerber, and her staff. We encourage you to visit us to ensure we are the environment that will complement your home life best. The environment is peaceful, attractive, homely and inviting. The adults encourage hands on learning following the child’s interests rather than following the state curriculum or rote learning. The children are self-motivated and rewards and/or punishments are not used to manipulate behaviour. The adults and children demonstrate a reciprocal respect towards one another. Children can be found working at a table or on the floor; indoors or out, with a variety of multi-sensory, manipulative materials. Collaborative learning is encouraged. Children can be seen assisting, teaching and encouraging each other. The environment caters for children of mixed ages, particularly over a three year age span. A Sense of unity and excitement and joy permeate the air. Hands on, discovery based learning to support each unique personality.